Traveling to Hong Kong has never been this great! Klook has done a remarkable job of making our trip very special. Known for its high population density, traveling in Hong Kong can be made easier by opting for its efficient and advanced MTR system. 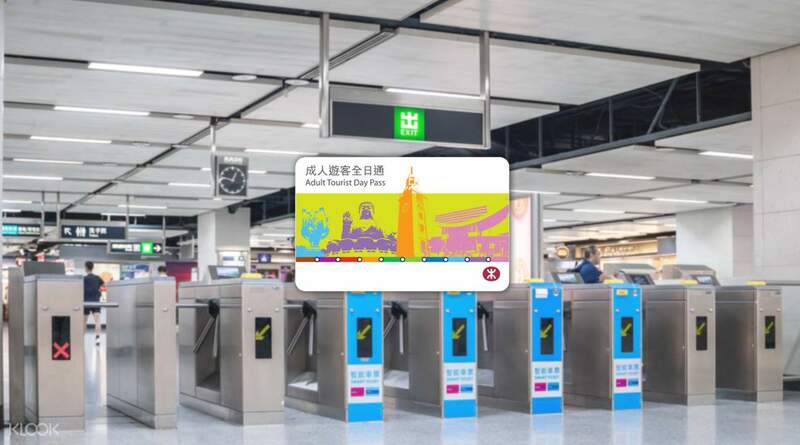 Upon arrival at Hong Kong International Airport, make your way to the designated counter and redeem your mobile voucher for a MTR Tourist Day Pass. With this pass, hop onto any MTR in town and get unlimited travel throughout Hong Kong for the next 24 hours. The best part is that you don't have to queue in lines to get a ticket each time you want to take a ride! We claimed the MTR Pass Card at Hong Kong International Airport. It was easy. Utilization of this card was like an Octopus card except that you have to insert it at the hole of turnstile for you to exit. We claimed the MTR Pass Card at Hong Kong International Airport. It was easy. Utilization of this card was like an Octopus card except that you have to insert it at the hole of turnstile for you to exit. Very easy to redeem and use. 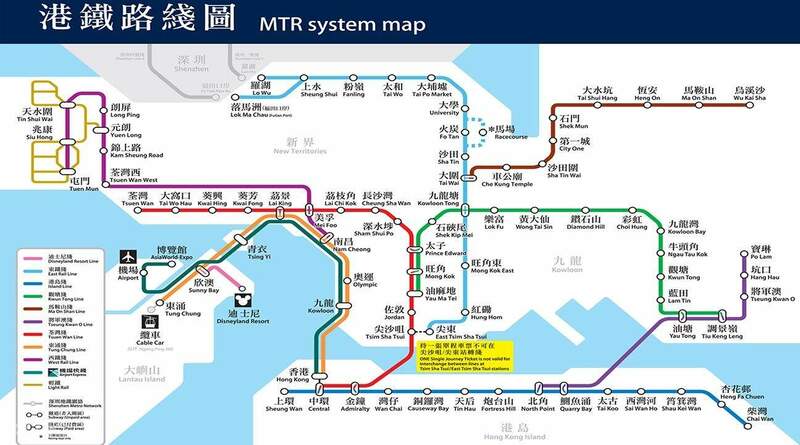 This is ideal if you intend to go far or have several stops, and you just need the MTR, not bus or ferry. We had no hesitation reaching far distances regardless of the fare since it's unlimited ride for 24 hours. Very easy to redeem and use. This is ideal if you intend to go far or have several stops, and you just need the MTR, not bus or ferry. We had no hesitation reaching far distances regardless of the fare since it's unlimited ride for 24 hours. Great savings. Ulimited rides. Easy to use the magnetic card, easy to claim at the airport. Hop on hop off to any place you want to go, nothing to worry. We will surely book again via klook. Great job Klook.. Kudos!!! Great savings. Ulimited rides. Easy to use the magnetic card, easy to claim at the airport. Hop on hop off to any place you want to go, nothing to worry. We will surely book again via klook. Great job Klook.. Kudos!!! I would recommend this pass to travellers as you can ride MTR without restriction. I bought one day pass just to try it, but i should get at least 3 when i visit HK next time. It will be better if they offer 3 or 5 days pass though. Anyway, thanks Klook! I would recommend this pass to travellers as you can ride MTR without restriction. I bought one day pass just to try it, but i should get at least 3 when i visit HK next time. It will be better if they offer 3 or 5 days pass though. Anyway, thanks Klook! it was very convenient moving from one place to another. we were able to do a lot of things in just 1 full day. thanks to the MTR Tourist Day Pass we didnt have to go through the hassle of taking a bus ride. Efficient and Very Affordable! thanks Klook! it was very convenient moving from one place to another. we were able to do a lot of things in just 1 full day. thanks to the MTR Tourist Day Pass we didnt have to go through the hassle of taking a bus ride. Efficient and Very Affordable! thanks Klook! Really good!! Love it!!! Take it!!! The ways to go to the temple was so far but this card save our money!!!! Like really really!!! You guys have to use it! Really good!! Love it!!! Take it!!! The ways to go to the temple was so far but this card save our money!!!! Like really really!!! You guys have to use it!